Where can Wii go from here? Without developers there would be no WiiWare of course, but for many of the reasons listed above high-profile teams and publishers have stayed away from putting their digital creations onto WiiWare. Plenty of teams persevered, and while some have continued creating downloadable games on WiiWare, many have shifted to other downloadable services. Part of the reason lies in the way Nintendo handles paying developers for their game sales. Games must achieve a certain number of sales before developers even see a penny for their hard work — for games under 16MB, games must sell over 2,000 units in Europe or 4,000 in North America, and games between 16MB and 40MB must sell 3,000 or 6,000 units in North America. These limits must be hit within two years — once the game hits these targets the developers get paid, but if a title never reaches that threshold then Nintendo doesn't pay out. 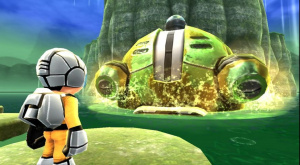 Without many of the tools available to stoke up interest in their game — there are no cut-price sales on WiiWare, no themed promotions and only very limited support for demos — developers may have to wait for months to recoup their investment. 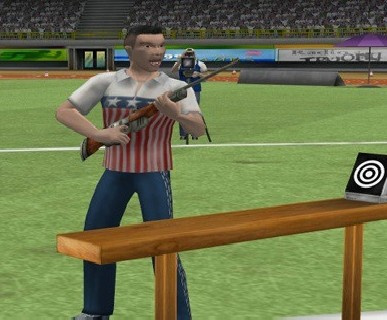 Icon Games spent a year developing Soccer Bashi, but nine months later was still waiting to receive money back due to such slow sales: shifting fewer than 10 units a week in PAL territories, the studio admits it'll likely never reach the required threshold. It's easy to see why some developers tried their hands at WiiWare and jumped ship after seeing such stringent rules on earning any money back for their efforts, and The Code Monkeys could no longer afford to trade following lacklustre sales of its Triple Sports series. Poor sales led to Code Monkeys closing its doors. We know what you're thinking: neither of those teams could be credited with creating the best games on WiiWare, and we won't argue. Developers deserve to get paid for their hard work, but at the same time the games industry is a business like any other, and if something doesn't sell it won't make money. The same rules that apply to physical product apply to digital sales: marketing is important. No publisher would stick a game on shop shelves with only a press release to support it and expect it to break into the charts, and while many teams working on WiiWare often can't find afford to hire PR firms to market for them, there are still plenty of options available: Gaijin Games has had considerable success with social campaigns on Twitter and Facebook, creating interest with relatively little financial outlay. It's an old adage that a poor product with good marketing often sells better than a good product with poor marketing; you need only look at the WiiWare sales charts to see proof of this. Marketing may not be every developer's strong suit, and this is exacerbated by much of the gaming press's indifference to WiiWare. Resigned to the notion that good WiiWare games hit the store once in a blue moon, news, review and editorial coverage of download games on Wii is spotty at best, and you can probably count the number of WiiWare games that received mainstream coverage in the past year on the fingers of one hand. Contrast that with the regular exposure given to PSN and Xbox Live Arcade games and it's clear the media never really backed WiiWare. Unlike PSN and XBLA where publishers and developers are given a number of download tokens or redeem codes to give to press, WiiWare games can only be gifted through the more convoluted method of adding Friend Codes. While this might not seem a big deal to many, it's simply too inconvenient for the major sites to go through every time they want a game to review. It's costly to buy the games too: buying all the WiiWare released in North America this year costs 19400 Nintendo Points, or nearly $200. For most sites that simply isn't a worthwhile investment, and without an easy way to get the games for free, it soon slipped off their agendas and further away from the mainstream Nintendo audience. 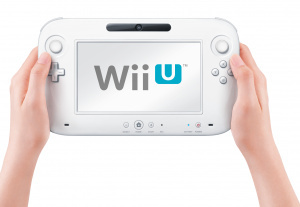 What will Wii U do with 'Ware? Nintendo may well take a huge leap with Wii U's online set-up, but it's not just the online gameplay that needs to be sorted: while the 3DS eShop is a step in the right direction, there's much work to be done in the console's virtual store as well. Quality software, ease of use for customers and press and a better integrated experience would all help Nintendo keep up with the digital competition. What do you think WiiWare's legacy will be? How would you have changed it? Has it introduced you to games you never thought you'd play or disappointed you more often than not? I get the impression that whilst WiiWare was a nice idea, the implementation has hampered developers dramatically, couple that with the (in my opinion) extremely poor online/store it was always destined to be a failure overall. I really hope Nintendo get their act together with the Wii U and look at how far advanced XBL and PSN is, surely they can't afford to get it so wrong for a second time? The way Nintendo handles the paying is just terrible. Wiiware for the most part has been a big letdown. Only the Retro styled revival games were truly satisfying to me. Mega man 9 and 10 still stand as my favorite games on the service. It's a real shame when things like La-mulana get held back until god knows when but they keep adding garbage instead. WiiWare was an absolute disappointment in my opinion. It could never compete with the superior XBLA or even PSN. So Virtual Console was Nintendo's biggest advantage when it comes to online services. But unfortunately Virtual Console has been totally left behind by Nintendo since WiiWare started. My main purchases online have been from Virtual Console too. There should have been more big name franchises for the service. Konami wants to do a crappy mini-game for WiiWare? Give it a Goemon theme or something. It may still be crappy but at least it would sell better than generic no name characters. It really is the easiest solution to generate more sales. WiiWare exclusive Mario, Zelda and Metroid games would really have made people sit up and take notice. It sure annoyed me when Wiiware came along and pushed aside the real games on VC. Those old favorites we all know and love got put on hold even longer. The fact is most of those Wiiware games are half ed trash. For me, the biggest failing of WiiWare was that download limit. On the iPad, PSN and Xbox 360, the lack of download size limits means that the downloadable games can be retail quality. On the WiiWare (and DSiWare, and it seems 3DSWare), developers can only really get mini games in with those size limits. It's a little hard attracting people to log on to WiiWare when there's no reason to - The new Mario games are available in shops, not for download. And that's what Nintendo needs to do, really - release a new, major Zelda or Mario, for download. Then people will start noticing. I knew that nintendo didn't pay devs until a certain amount had been sold but I didn't realise it was as high as 2,000-6,000 units. Thats ridiculous! Does anyone know if they are still doing this for 3DSware and does anyone know if the file size limit is improved on 3DSware? The interface on the eshop is a big improvement but could still be better, especially with the way dsiware is handles on the eshop. I hope the download service on the wii U is handled much better by nintendo. WiiWare is definitly a giant let down indeedy....Although Mega Man 9 completely wowed me. Then there's Castlevania: ReBirth, Mega Man 10, Lost Winds, Lost Winds 2, World of Goo!, Rage of the Gladiator, Fluidity, Cave Story ect. But for the most part it's been pretty bad.....Maybe the lack of Nintendo support was because they were afraid they'd compeltely overshadow the smaller developers with their titles. If a Mario or Zelda WiiWare title were to be released, people would be saying Bit Trip what? @WaveBoy Glad to see that you enjoyed Fluidity! Such a great game that so few people seem to know about. Just remember there are good games on WiiWare, but the interface really is a problem, put me off buying many games. All in all the 3DS's service is much better, but still not up to standard. IMO I think the downloads on the Nintendo store are better than the other two, most people will just never know. (Small games that is, PSN and XBL destroy WiiWare on retail games obviously). I think the BIT.TRIP games are among the best on the service myself. And while we've seen some great games on the service, as a whole, it's been rather disappointing. I actually haven't played that one yet, the same goes for LostWinds 2 and Cave Story! The rest on that list I've beaten and then some. I was just listing some of the higher rated titles hehe. And I really need to get on Fluidity. And regarding the Wii Shop's Interface, i totaly hate the simplistic boring approach Nintendo has taken...Where's the fun Nintendo colorful Flashy goodness? Maybe my mind's just lost in Nintendo 80's/early 90's land where their commercials and ads were far more imagnitive, colorful, in your face and creative. As for the Wii Shop, they could at least add the box art for the VC titles instead of some crummy small screen shot depicting the title. How cool would that be, it's ridiculous that they haven't done that to begin with. @WaveBoy Ahhh, Definitely check out their awesome website and there might still be a demo on WiiWare for you to check it out too. It's from the developer behind the highly successful Buzz series on PS3, and they got tired of working on big budget titles and formed Curve Studios and branched into the digital realm and we got this amazing game and Explodemon so far from them. It's one game that you definitely don't want to miss out on! Too much expensive, as Virtual Console, and no offers. Compare with PSN y XLA. The lack of demos discourage me from purchasing Wii Ware games. I like to try before I buy. To make matters worse when they do add demos they only stay on for a week or two and then removed. The occasional sale would help out as well. WiiWare could've been great... but I think it was hampered by the Wii Shop itself. It's just a mess, scrolling through it takes ages and the loading times can be very long and after a while, just browsing can get very boring indeed. Ninty improved it with the eShop, it's easier to get around, feels more user friendly and you feel comfortable using it. I can't, however, say the same with the Wii/DSi Shop. The only way to know if there's good games coming out for the service was to actually know the name of the game or visit sites like this one, otherwise you're left in the dark. With a better interface, Add-ons for games,offers/sales, More demos(or at least, always downloadable!) and a new main mario/zelda/metroid/kirby/pikmin-game, The Wiishop could just have been better than XBLA/PSN. Wiiware itself suffered by bad 1st party support only 3 nintendo games, and Pokémon Ranch is just boring, so only 2 good 1st party titles. Im greatful and disappointed with WiiWare because if it weren't for the service, i wouldn't have been able to play game like Contra Rebirth, Cave Story, MegaMan 9 and 10 Frobot (yes i actually liked it) Fluidity, Space Invaders get even Lost winds 1 & 2 the bit trip games and Blaster Master Overdrive, All games i really enjoy and make me wanna support WiiWare more, But it makes me sad that alot of those great games get overflowed with shovelware titles that are just unapealing, poorly made ,and pretty much just makes the service worst than it already is and none of the good games are even talked about let alone advertised. Nintendo really needs a blog so developers can talk about thier games and gamers will know whats on the Wii shop channel and what will come to Virtual console and WiiWare, Its a lot better than waiting for Nintendo Channel updates every week. WiiWare has a few gems, for sure, but obviously it's not on the same level as its competing services. Nevertheless, Bit.Trip, World of Goo, Lost Winds, Fluidity... these are great games, and worth checking out. I get the feeling a lot of people have this mindset where they completely shun the service just because it's lacking in some respects. That is an unwise choice, in my opinion, since they are missing out on a select handful of fantastic, unique titles. I had no idea about the pay restrictions. That's terrible. It's fair to say that WiiWare has been mainly miss, with some hits - Wolrd of Goo is an obvious example, but also some others, such as Rage of the Gladiator, which showed a very creative way to get around the small download size limit. Like most on here though, most of my download purchases have been VC. In fact, most of my Wii purchases have been VC. That was a major reason for buying the console in the first place. The first one I have bought in twenty years. "What's the big mystery? Developers are often told their release date and price only a week or two in advance, a fairly short time to build buzz around your game, whether in stores or online." I assume that the idea is to build buzz POST-launch - when the game is already available. Advertise and campaign a game that is available right now, not some time in the future. Take reviews, user feedback and commentary and show why the game is good. Treat your games like you will get constant sales from them - which you should on a download platform. There really should be more temporary price cuts or sales on the shop service. I know there once was a limited time holiday sale for select Sega VC games on the NA Shop Channel. That’s the only sale to my knowledge that ever happened. As much as I love World of Goo, I think it’s time for it to receive a price cut imo. The lack of mainstream press coverage for Wiiware has been an embarassment, right from the start of the service. It's almost as if the major gaming sites DISLIKE seeing good games come out and would rather see them fail than inform their readers of their existence! I'd say that's been the biggest reason that Wiiware hasn't been a success, although the other factors mentioned by this article certainly haven't helped. Firstly, the interface is slow, unwieldy and not conducive to simply browsing for new games. Locking games to a console, not an account. Really, REALLY bad idea. Not being able to directly purchase games, only points which often leave leftovers (I've currently got 4 or so games I want to buy, but the points don't work out to a round number and so I don't want to waste my money). Disparity in content availability. I know this is a complicated issue, but it's annoying to see games not being released in all regions. Lack of serious promotion for the service. As the article alludes to, someone who bought a Wii without frequenting gaming websites would be hard pressed to know the Wii Shop exists. Lack of sales. There's plenty of games I would be interested in, but not at their standard price - I might be swayed by a discount. On that note, regional pricing differences. In Australia, 1000 points costs $15 (about 16.3 USD). I'm sure we're not the only ones, and I imagine some places can't even access the Wii Shop. While arguments can be made for differences in retail pricing, they don't really apply to digital delivery (by the way, this is an issue with Steam and other digital delivery services). Limited storage on the Wii. It's annoying to have to shuffle my software from the SD card to the Wii so I can launch it without having to load it up every time. Despite all of this, I have bought several games from the service and enjoyed them greatly. There's no way I would have bought them without reading reviews first, though. I can buy, say, Valve's Orange Box for less than $20, so I need some serious convincing to fork out $15 for a game I've never heard of. I've played more WiiWare and VC games on the Wii than retail games. Since 2007 I have played 31 games from the download shop and only 8 disc based games. For me it wasn't a disappointment. I would even say WiiWare and VC is the best thing the Wii has to offer compared to the Gamecube. I'm just wondering what happens to the WiiShop in generally (and especially the instruction manuals of WiiWare games) when the next generation (WiiU) comes out. Nintendo has no one to blame but themselves. They never tell you ahead of time what is coming out with either WiiWare or the VC. What's the big secret? Plus, most of the games blow. There are some great games like the Rebirth games, Mega Man 9/10, Sonic 4, and Dr. Mario, but the rest are so forgotten. I hope Wii U Ware follows the example of Steam. Whenever there's the rare occasion that there's a game on both WiiWare and Steam, I always pick the Steam version because I know I can get it for real cheap if I put it on my wishlist and wait for one of Steam's huge sales. During the Summer sale Steam was having, I bought 10 games and spent only ~$20 (That would mean if every game I bought was the same price (they weren't really), each one would cost ~$2!). If I bought 10 games on WiiWare on any given day, I would definitely spend a lot more than $20, even if all the games were 500 points. Granted, the same would go for Steam games at their regular prices, but that's why there are sales. In fact, one of Valve's founders (Valve created Steam, in case you didn't know) said that sales help give more profit to Steam. If you put on a huge sale once or twice a year that lasts a week or two, people are going to buy things they were hesitant to buy, because now they are dirt cheap, and more games will be sold. It's a business practice that's been done for centuries, and it works. So why doesn't Nintendo push sales like Steam does? I also like how Steam's demos work. There isn't a demo for every game (I loath you, XBox Live Arcade), but when there's a demo, it will never go away (you hear that, Nintendo?). But the best part is most game demos on Steam will not only save your progress, but when the full game is purchased, you can continue from where you left off in the demo, but with all of the game's features unlocked. Oh, and while I'm dreaming, I would like it if the Wii U to not only allow patches, but to download them whenever the system is plugged in, even when the system is "off," like how Steam downloads game updates automatically whenever the computer is on, and like a feature Playstation Plus members get for their PS3s. @accc I agree. WiiWare penetration was just sad. It's one thing if people gave it a look but just weren't interested, but whenever I told people about games I had downloaded from WiiWare and VC over the weekend, the reaction was usually something to the tune of "You can download games on the Wii!?" Too, a lot of the best games mentioned are those whose developers realized that the platform restrictions posed challenges, not limitations. Too many developers were trying to make modern console-style games fit on a platform it was never meant for. The filesize limit argument for Nintendo's lack of AAA support just doesn't hold water for me. I point to Flagship's Zelda games, Oracle of Ages, Oracle of Seasons and The Minish Cap. All were made for consoles that were becoming increasingly underpowered and obsolete, yet they stand as some of the best in the series (and my personal favorites), even alongside their "next-gen" counterparts. @Slapshot Fluidity is incredible. I've told every Wii owner I know about it. I like Curve's philosophy on design and development. They need more support, for sure. Very few developers know how to work within the limits and produce quality games on WiiWare. But hopefully, WiiU won't have the limits and would hopefully follow what eShop is currently doing (in terms of having 'no' limit- as mentioned by Miyamoto himself). For some third parties, WiiWare was the first time they created a game. You're actually missing a few, such as Swords & Soldiers and Fluidity, but still, you're average Wii owner would only be interested in a few of those games. I myself only have around 10 or so Wiiware games, and am only interested in about 5 more. And at the end of the day, it just isn't much at all compared to the dozens of good games on PSN, the hundreds of good games on XBLA, and the near infinite amount of indie games on PC and iOS platforms, many of which are bound to appeal to somebody. And as people already stated, a lot of the problems with Wiiware is down to the freakin' size limit - without it we could have tons of retail quality games like what the competition's services have. So long as Nintendo understands this and doesn't repeat the same mistake, I think the next gen's selection of downloadable games will be by and large an improvement. I loved the Rebirth series. My favorite game on the service is Toki Tori. WiiWare was a huge disappointment to me. I only have 4 WiiWare games, specifically because nothing on there even remotely interested me. The only other things that I would want to buy I bought on XBLA, such as Sonic 4 and the Mega Mans. The pricing is bad, the marketing is bad, and a lot of things are done wrong. Super Meat Boy can't get on WiiWare because of that awful 40MB rule, and the fact that many Wii owners don't even know the service exists is terrible, to say the least. WiiWare is garbage just like it's games. At least the Wii U will have Gamcube games coming to it. Wiiware's fate is the same as the fate of Wii, Nintendo murdered them both. @WaltzElf The size limit, while keeping developers from doing things that are possible without a size limit, doesn't mean they can't make a game as good or better than retail games if they design it creatively enough. I agree that 40mb is technically limiting, but it has forced to developers to make unique, minimalistic, and creative games that otherwise might not have been. It's a blessing and, admittedly much more, a curse. @WaveBoy If a 40mb Mario or Zelda game came out on WiiWare, I would most definitely not be saying "BIT.TRIP WHAT?" Downloads such as BIT.TRIP, Cave Story, World of Goo, and chick chick BOOM have provided amazing experiences that can't be found at retail. I would take most of those over Mario or even sometimes Zelda any day. Overall, WiiWare has been my favorite thing about the Wii, despite how limited, cumbersome, and disappointing it often is. 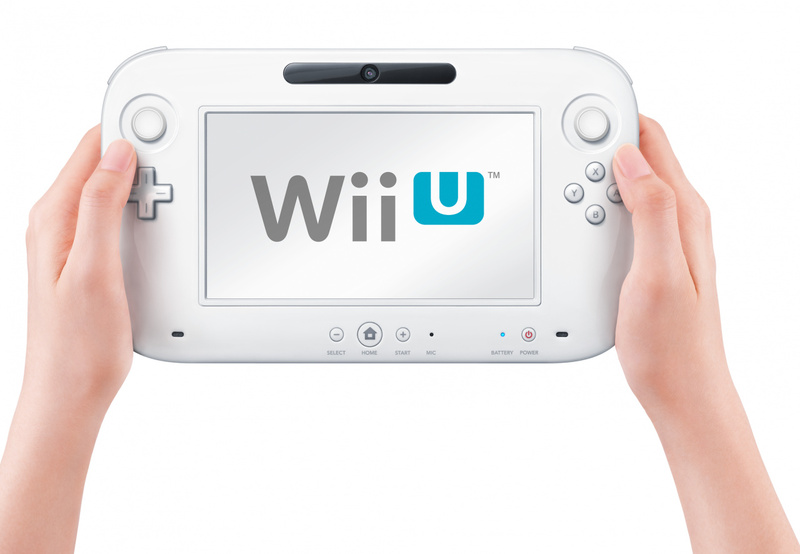 If Nintendo brings the service up to par for Wii U, then I'm all over the new console. Overall I don't think of WiiWare as a disappointment. Sure it had huge problems outlined nicely in this article but I've gotten some really great gems on the service. Bit Trip, Art Style, Lost Winds, World of Goo, Fluidity, Dr. Mario Online Rx, Art of Balance, FAST Racing League, Pokemon Rumble, and Rage of the Gladiator to name a few. I truly believe that great content is there, its just severely hurt by the poor presentation of the shop and lack of advertising or exposure. Well, the Wii Shop channel music is catchy, but that isn't enough to make up for all of WiiWare's flaws. Probably about 1500 points each going by current Wii VC pricing. it can go into a box so it takes up less space on my shelf. I enjoyed the wiiware I bought and I used to buy atleast one 2000 point Nintendo card a month but I dont think Nintendo presented the software as well as it could have. I think websites like this one have been the only reason why any of the titles had sold at all. The quality of most of the games have been pretty good but the way they have been sold and announced and even the regularity and quantity of releases have been quite poor. Which is such a shame because I would really reccommend a majority of the wiiware titles I have purchased. I'm personally both happy and disapointed with the Wiishop. Poor interface, no account downloads, console lock. I regret buying a lot of WiiWare titles that had 8-10 in reviews here on nintendolife that were absolutly horrible and now I'm stuck with them. Hence why I don't check reviews anymore, lesson learned. The screenshots for the games on the Wiishop are too small .. no videos ... lack of demos .. barely if any publicity for the titles. Size limit for games was just ridiculous. Not to mention the lack of onboard storage on the Wii. No future knowledge of upcoming releases by either consumer or the actual game makers. THIS was the single stupidest thing. Never any sales, which EVERY other digital platform has in some form. Game size limits hinder quality. No demos, or at least there weren't for the longest time. No real way to gauge what the game is with the exception of really small images. Prices in general were way too high. Process of downloading was slow and poorly implemented. No easy way to see new content from the main UI of the console. Leaving many people not knowing the platform even exists. Basically everything you could do wrong with a digital platform Nintendo did. I'm also not holding my breath on them making it better as the 3DS barely fixed any of the issues WiiWare had. They could have developed some nice short games and put there for free, easy way to promote both, the console and the service. And no, I'm not talking about the crappiest possible excitebike for the 3DS, this has the opposite effect. WiiWare had a few really good games but ultimately the service was a huge letdown. There were just more things wrong with it than right. Nintendo really should take a page out of Microsoft and Sony's book to create a better online service for the Wii U. There are plenty of games like that on the PC, and there's no file size limit there. What makes you think the size limit forced developers to go that way? @Mickeymac I guess nothing except for the fact that some of them are/were originally WiiWare exclusives; the developers had to work within the size limit, which maybe dictated to some extent how they designed their games. But it definitely could have had some bearing on their creative development in a good way regardless. Just saying the size limit isn't necessarily all bad. There's a lotta good stuff for WiiWare, both original AND superior ports from PC, including Cave Story, World of Goo, and Strong Bad. Wanna get more original? LostWinds, BIT.TRIP, Pokémon Rumble, Mega Man 9 & 10, and more. My problem is how bogged down the inventory is with games nobody cares about, such as party games and fishing games. I say that because nobody's gonna care about the 10,000 party game selections or the 10,000 fishing similators. There are the good games, the games that SHOULD be good but aren't quite there, and the games that are just a chore to shuffle through. Things I'd like to see are WiiWare Originals of the Zelda, Metroid, Mario, or other franchises and not just be a launching pad for new stuff. We need something to hook us in if we wanna try that new stuff anyway, right? Bomberman, Pokémon Rumble, Blaster Master: Overdrive, Mega Man 9 & 10, Dr. Mario, Tetris, Sonic 4, Final Fantasy IV: The After Years, and other games like that are great hooks. I'd love to see more franchises try that. They can hurry up and let La-Mulana get released, is what they can do. when you get on your Wii, in the channels menu there should be an update screen that just shows you whats new in the shop, nintendo channel, and retail. I actually think Wiiware has a lot of great games. I'm sick of all those shooters and racers on xbox. On Wiiware you can find a lot of different and fun games, you wont find on xbox arcade. Cave Story- Hydroventure-World Of Goo-Maboshi-Art Of Balance-lostwinds-lLostwinds:Winter Of The Melodias-Tales of Monkey Islands-Bomber Blast-Fast Racing League-Sword & Soldiers-And Yet It Moves-Jett Rocket-Rage Of The Gladiator-Bit.trip Series-Pop-Block Breaker-Lit-Lilt line-Strong Bad Series-Defend Your Castle-Max And The Magic Marker-Urbanix-Chic Chic boom-Exite Bike World Challenge-Toribash-Nyxquest:Kindred Spirits-Thruspace-Tomena Sanner-Bonsai Barber-Onslaught-Let's Catch-Bubble Bobble+ You Me & The Cubes-Space Invaders Get Even-Tetris Party-Toki Tori-Star Soldier R, to name a few. So I really can't undersand all this negative talk. I'm tired of all these people on this site always complaining about everything..
Not everbody like's those games. More importantly, there could be so many more good games. Yes, those games can't be found on the Xbox 360 (though a few are on Steam), I can name easily twice as many great games on XBLA that can't be found on Wiiware. And you know what? Wiiware would probably have lots of those games if it weren't for the size limit. If you ask me, there's plenty to complain about. Well Mickeymac. it's a matter of taste isn't ?Not everybody like those games on XBLA either..
Not every game on XBLA is the same just like not every game on Wiiware is the same - clumping them all together considering everything to be the same isn't really giving the developers a fair chance. There's good games on all 3 consoles downloadable services. WiiWare was a great idea, but its a shame that it was poorly executed. One of my biggest gripes is that most games don't have the option of trying out a demo or trial. Almost like nintendo are saying 'look but don't touch'. And as everyone else as commented, the games themselves are a major issue. It's truely a sad day when the likes of World of Goo, Cave Story and Lostwinds are being heavily outsold by My Fireplace. It's things like this that turn WiiWare into a joke. But having said that, now that Nintendo have had experience with online stores, they now know what works and what doesn't. If WiiUWare ever happens, you can guarantee it'll be better than WiiWare. @NiBar When is the last time you've been on the Xbox Marketplace? If you've not been there since the Xbox Live Arcade Indy Game store was added, then you really should make a return visit. You'll find hundreds of Indie titles that range from $1 to $5, and spanning nearly every range of games imaginable. I'm sure you'll find quite a few hidden gems throughout it, as there are demo's available for all of them to try before you buy. On the whole, I can't really think of a better way to describe the failure other than a stubborn stupidity on the part of Nintendo. That pretty much goes for everything online Nintendo's done between the Wii and the DSi. I don't have a 3DS (a separate problem Nintendo's facing) so I can't really say for that. I think you should do a similar feature for the Virtual Console, which to me seems to have been left in the dust in terms of support by the Playstation Classics. At least we got 3D Pixel Racing. Seriously people, give it a chance. You read a few words and then stopped didn't you? Either way you completely missed my point, which was that Wiiware could have far more than it already has. Well I thought World of Goo was more fun on the Wii(ware) than on the PC, so at least that was something. What I find sad about Wiiware is that one of the best games on the service is a port of a PC game that can be downloaded for free. One word: Advertising. If Nintendo had just put out some TV commercials advertising Virtual Console and WiiWare in general, game sales would've been higher across the board just because the general public knew about them. Instead, we've got all of these Wii owners who don't even know about these downloadable games. @78 I don't know how many times I've had to say this, but advertising is not a magic cure to a poor product. TV advertising especially. TV advertising is an expensive and highly ineffective form of advertising. It's usually the last thing considered in a really big marketing campaign. Nintendo tried to market WiiWare. It failed because WiiWare is a poor product. @79 People complain because it's completely unnecessary. If Steam, Apple, Microsoft and Sony can ALL offer a solution that doesn't tie downloads to system, why can't Nintendo? It's arrogance or incompetence. I'm leaning towards the former, but either way it's a miserable business practice that sits Nintendo at the very bottom of the pack by default. Nintendo needs to get their heads out of their butts and grasp that basic concept if they want to be a legitimate competitor in the digital marketplace. There were some good WiiWare games, but Nintendo needs to do a complete overhaul on their shop services on all their systems. Nintendo advertised WiiWare through their email newsletters, and not many people even use their newsletter service. The Wii is pretty much dead. The only big games are Skyward Sword and Kirby, and after that, nothing. Modern Warfare 3 is also coming to the Wii, but that's a multiplatform game. So unless Nintendo has a few surprises for next year, there is nothing else to look forward to. Sonic 4: Episode 2 is non-existant, there are no new Mega Man games, blah blah blah. The Wii is pretty much dead now, 3rd-party developers/publishers know this. Nintendo knows this. They aren't doing anything to change that. Meanwhile Microsoft and Sony are enjoying increased sales and market expansion with their systems. The PS3 is growing more popular, and it's pretty much tied in sales with the 360 (here in North America). Xbox 360 got a huge boost with Kinect, and that's getting a ton of new games next year. What does Nintendo have? Zelda and Kirby. I'm buying Skyward Sword day 1, but there isn't much else I'm looking forward to. Nintendo needs to localize The Last Story and Xenoblade, so at least we have something else to keep us occupied until the Wii U launches next year. Hello Mickeymac. I did not miss your point but the small internal amount of memory in the wii will make it impossible to launch a 200 mb game unless I get rid of all save data stored in memory. I actually had to put a lot of save data on my sd card the other day before I was able to launch a game. So, yes bigger games could be good but the small amount of the internal memory would stand in the way.. Which is still Nintendo's fault for not putting more than a pathetic amount of storage in the machine. Oh, for the record, I have about 20 WiiWare games. All six Bit.Trips, 3 Art Styles (a Nintendo property), and the rest were various 3rd party releases. I'd accidentally bought the first Strong Bad game (I hate that the Back button switches with the Confirm button on the last screen), and wish I didn't buy Tomena Sanner (it's decent, but Bit.Trip Runner hadn't been announced yet) and some other games. Apart from the Bit.Trip games, I could really take or leave the entire service. People act like WiiWare wasn't any good just because it seems like the service more or less has a bad reputation, because Nintendo has a bad track record (all of 8 years or so) with online play. When you really look at it, the service may not be the best in terms of layout, but it has some stellar games. Look at Jett Rocket, look at FAST-the racing league, World of Goo, Cave Story, Lost Winds (and its sequel), Fluidity, And Yet it Moves, Tetris Party, those are some awesome games I just mentioned, and I"m sure I've not mentioned a lot more that are awesome. Why does it seem like after reading these articles people are more prone to perceiving this service as a negative on the whole? Sure, there could have been more support from Nintendo itself, but that's why they have Club Nintendo, for people to voice their opinions. On several occasions I've mentioned in their QA portion that I want more games and a more streamlined interface, with easier access to titles (arranged in alphabetical order a la Xbox Live Marketplace). People should let Nintendo know and give them ideas if they think its so broken. @87 It's not so much the games on WiiWare itself that people object to. They object that the service itself is inferior to each and every one of its competition. And, it shows in sales. While the Wii has the greatest install base of the consoles, it lags behind Sony Microsoft and Apple in terms of download sales. It's a 3rd rate service, and it sells like a 3rd rate service. It would be great if there wasn't a console lock for every console. There should be a shared account/store. That would boost sales. Most people here aren't say there's no good games on WiiWare, there are some great games on WiiWare. What most people are complaining about is the WiiWare SERVICE, which in my opinion is possibly the worst service of it's kind ever made. Which makes the good games a sad story really because they never got the attention they should have gotten. there are some great games on WiiWare. And when you've played and completed each of them...? What's next? The worst thing about WiiWare: it distracted from the Virtual Console games. Every week, 3 new WiiWare games, zero virtual console. No price drops as time goes on is the single worst decision with the wii shop channel. And it looks like, unfortunatly, its going to be the same case with the 3DS eShop. @91: Exactly. Like I pointed out, there's only a small handful of quality games on the service, few and far between, with next to no way of knowing about them besides coming to this site, with an interface that's so bad that I haven't used it in about a year. WiiWare just fails on every front that is overseen by Nintendo. And considering that everything is managed into the ground by Nintendo except for sequels to successful series, that's pretty much every front. @92: That's only if you care about the virtual console. I don't, and WiiWare still is a poor service to me. I just hope Nintendo takes all this WiiWare experience and learns from it. We all know the service didn't live up to its potential and it seems the more we find out about the intricacies of the service, we more we wonder why such a thing was rolled out to the public. As a massive Monkey Island fan, I was sure that I would get every episode of Tales of Monkey Island when available, but one look at the PC version and a quick comparison of prices, reasons to buy each episode on WiiWare evaporated fast. For Wii-only gamers, they would of course buy the game on WiiWare, but people with a choice will likely not. How an amazing and fun series made so little noise on WiiWare is a fair indication of how badly WiiWare has been handled. They did that on purpose, since most people don't pay attention when they click through the screens. When the service first launched, I used to think Wiiware was awesome idea, until it completely dethroned the Virtual Console service. Apparently, Wiiware was earning Nintendo enough money for doing absolutely nothing, that the digital downloads people got lazy and quit putting forth the little effort it took to continue Virtual Console service. Being a retro junkie with every Nintendo system to date (except for the Virtual Boy), the announcement of Virtual Console service was my number one incentive for picking up Wii so soon after launch (December '06). I purchased a PS3 for the first time last Christmas, and, while it didn't specifically change my belief that the Wii Shop Channel was still a good thing (better than nothing at all), I quickly realized how clearly superior PSN shop is to Wii's Shop Channel. About a month ago (shortly after PSN went back online) they had a big sale in the Sonic department (20th anniversary), and I bought the Sonic bundle on sale for $20. So now I have Sonic 4 on two consoles, as well as several other excellent sonic games on PS3, including an HD DreamCast remake. Where can I find such an offer on Nintendo's shop? Oh, wait: there isn't any! EDIT: I take that back. I've got Sonic 1,2,3 on Wii VC, with the Knuckles expansion pack, albeit the "Sonic Genesis Bundle" will put you back some 3200 points. Nintendo's VC got it, Sony's PSN don't! I must admit, however, ExiteBike World Rally is worth every every penny that I paid for it. How many other downloadable titles (besides Dr Mario and Tetris Party) can you go head-to-head with anonymous players in a Wi-Fi grunge match? I haven't bought anything on wiiware since my wii died. Now I have a new wii and an old one with wiiware games on it. I can't transfer my account, can't give myself a gift, have over 3000 points left undead for a time when I decide to actually go through all that trouble to plug the old one in. In other words: better online services on wiiU please. Leaving the Wii plugged in with Wiiconnect24 enabled 24/7 is like placing it on a slow death sentence. If you find it at all possible, leave it unplugged for a while at cool room temperature. Plug it in, eject any disc in the drive, and boot up the system while it's still cold to the touch, if possible. Immediately enter system settings and disable the Wiiconnect24. Backup any game saves and Miis you want to keep while it's still running, then shut it down via the power button. Ensure that the power light is red, and let your Wii rest for a while. Turn it back on again and hopefully your start-up problems are fixed. @80 No, it's not a magic cure, but it would've helped quite a bit in this case. One of the biggest problems with the low sales is all of the Wii owners who don't even know about it, because they don't look for video game news online. There are countless stories, many on this website, of people talking about Vitual Console and WiiWare to their Wii owning friends, who then respond that they never knew about the services. TV may be overall ineffective for adertising, but it's by far the best and most wide-reaching way to inform these people. @98 You guys just don't get it. They're running out of stuff to release on Virtual Console. That's why they're taking it more slowly with the 3DS than they did at the beginning of the Wii's lifecycle. How many retro games released in the West can you think of that are not yet on Virtual Console; are on a system supported by Virtual Console; were made by a developer that supports the Virtual Console; are not Arcade games that are too big for Virtual Console; and have no licensing, emulation, or other known issues? Try dividing those games among the weeks remaining until WiiU launches while keeping in mind that some of them probably still won't be released due to issues unknown to the public. @101 BulbasaurusRex: No, Nintendo definitely has the funding necessary for advertising campaigns. There were several Wii ads prior to launch that briefly mentioned the Virtual Console service, but they never mentioned VC again after the Wii launched. Over the years, Nintendo has practically spammed all of the television stations with their family/casual games lineup. They even plastered Mario's face all over the bright red #20 NASCAR to celebrate the launch of New Super Mario Brothers, for crying out loud. And they sold millions over millions of copies of that game, too. Millions more sales than Galaxy 2 to say the least, which in my opinion was a far superior Mario game. The reason: Nintendo advertised the hell out of NSMB Wii, while SMG 2 got very little publicity outside of gaming websites and retail store displays. @103 Exactly, they made very poor decisions about what to advertise on TV. If they had used a little of that TV advertising budget just to advertise the online services in general, they would've sold quite a bit better just because more Wii owners would've then known that they existed. @102: I'll use Yoshi's Island and Starfox SNES as an example. True, both games do utilize the Super FX chip, but the homebrew/emulation scene have also documented and supported the chip for well over a decade now. And I'm pretty sure that Nintendo's official documentation is far more complete and accurate than anything the hackers have ever come up with. Then they're also having issues supporting N64 rumble compatibility and controller memory paks, yet Sony doesn't seem to have any problems supporting direct emulation of PS1 games on the PS3 Slim: despite the complete lack of appropriate hardware, it has no problems whatsoever emulating the PS1 memory cards. And if I insert my Spyro II disc, my PS3 controller even vibrates when I take damage! Bottom line: If Nintendo puts forth even the slightest effort, they could easily enable SNES FX chip emulation and N64 rumble/mempak support. The reason they refuse to do this is laziness. The biggest issue I personally have with it is pricing. Game prices never drop. Why would I get the Strong Bad games or World of Goo when they're cheaper on PC? Or the iPhone? Unless the game works significantly better on the big screen with Wii Controls (the Bit.Trip games stand out here but not much else), why should I pay extra money? The two biggest things that need to start happening are 1) Make it easier for devs to market their games (like letting them know when they'll be released, giving some space on the Nintendo website, and demos - to the best of my knowledge 3DSWare is only fixing one of those things, the demos) and 2) let older titles go on sale. Devs should have much more control over their titles than they do. The race to the bottom is on with the types of titles on Nintendo's download service, and they can't win the race if they don't enter. A total waste of potential. Just like DSiWare, just like the Virtual Console, just like 3DS VC and just like the eventual WiiWare U and 3DS Ware services. Nintendo has no clue at all when it comes to the online space, it's pitiful. yeah, I think it's not that the games are bad but how do you find the good ones if you're not a nerd like one of us that comes here and reads about each one as it's released. The info on the shop site (if I haven't read about it here already) is horrible and the pictures barely visible. Not enough/ proper promotion killed it, plain and simple. would it have been that hard to just update the channel to be more like the 3DS shop? a simple interface, that includes videos RIGHT NEXT to the buy button for each game? Or to include 10 or 15 free points with each console to get EVERY Wii owner in the door? Very simple things could have saved it at any time, why did they just give up on it they way they seem to have? theres no excuse for it. none. Users should be able to create a new Club Nintendo account directly from their console. New consoles should prompt users to do this before they can purchase downloads and keep them. If a user links his/her Club Nintendo account to a new console, then the old console becomes unlinked, and the games residing on the old console are disabled upon reconnecting to the Internet. The user is now free to re-download their purchase history on the new console. In this way, a user's purchased download history is saved to their Club Nintendo account, such that they will still have access to their downloaded games, on one console at a time, regardless of whether or not their other console breaks (under warranty or not), gets destroyed, lost, stolen, sold, or even just replaced with a newer model, color, etc. No convoluted wireless transfer mechanism or old working unit necessary to transfer games. Nintendo should use the PSN model as an example for how to run their service. Since PS Move and Xbox Kinect both "borrowed" motion controll ideas from Nintendo, now it is time for Nintendo to "borrow" a few ideas from Sony and follow PSN's example. But PLEASE none of this "pay to play" online subscription plan like the Xbox Live service. I seriously doubt that Nintendo could ever become that greedy, though. It's the DSiWare Shop on a console! I have lots of games I downloaded from the Virtual Console. That is one of the best features of the Wii, the ability to download games from older systems. There are hundreds of games available, so you can't say it's a failure. I found many games I had missed out on originally due to not having any Sega systems. Yes the service isn't as robust as it once was, but thankfully Nintendo brought it back on the 3DS. Now we have a ton of classic Game Boy, Game Gear, Game Boy Color games to look forward to. And hopefully the GBA will appear as well. WiiWare, on the other hand, is full of crap. I only have about 5 games from that service: Dr. Mario Online, Castlevania ReBirth, Cave Story, Tetris Party, Sonic 4. Nintendo should have put on the Wii box that there is a downloadable service. I like how they started offering demos because, as mentioned, there isn't a lot of info on the games. At least include a video on the Shop. I totally agree that Nintendo should have made a Metroid or Mario game. Amazing feature James ! It covered about any problem the service has and the part about how many games must be sold for the dev to get paid was new and very insightful to me. Thank you. First thing's first. I've had a lot of fun with many WiiWare titles so far. Far too many to list here. I guess most of them offer experiences that can't be found on PS360's and i really like these. On the other hand it hurts a bit not to have games like Super Meat Boy, Marvel Pinball, Bionic Commando, Contra: Hard Corps and the Monkey Island remake on Nintendo platforms yet. That's what i'm hoping for the most. And like Afrancio (19.) and Destroyer360 (36.) mentioned i want as many demos as possible. Available for an unlimited time. I'm pretty sure Nintendo knows what they have to do to get there and the eShop is indeed a step in the right direction. With many games i got the feeling that they couldn't hold up well enough against retail titles. And i don't mean content wise. Some just feel like they are missing something. So i'm not sure about wating more popular Nintendo characters in downloadable games. I mean i'd really like a new Metroid sidescroller / a remake of Metroid 2 too and think it would suit the service quite well. Same goes for a game in the vain of NES' Zelda II or Super Mario Bros. 2. Good idea here! And i'm not sure how i'd feel about Nintendo doing extra-content that i'd have to pay for. 6 are the BIT.TRIP series. Once I bought one and loved it, I was gonna buy the whole series. So I wasn't exactly going out on a limb here. 1 is Castlevania: Rebirth. I'm a Castlevania junkie, so, again, not a stretch. 2 are the Mega Man games. Also a big Mega Man fan, so yet again, not a bold purchase. That leaves 2: Fluidity and ...And Yet It Moves. So, if you count the first time I took a chance on the BIT.TRIP series, that makes 3 of 11 WiiWare games I took a chance on. The rest had some kind of history to fall back on to justify the purchase. And therein lies my point; precious few demos (and demos only being released, what, two or three years into the service's lifespan? ), little to no pre-release promotion, prices all over the map ... the service was promoted as the new golden boy, but its been the red-headed step-child. The VC may have been mishandled, but at least it hasn't been thrown to the wolves like WiiWare has. In a weird way, in one generation, Nintendo has crammed all the experience they went through with both the SNES and the N64; they blew up big, put a stop to rivals which should've been harder to take down (the SNES), then got a ridiculous ego that made them believe their every decision was untouchable, only to watch the consumer run away in droves (N64). If history repeats itself again, that means Wii U=the Gamecube era all over again. This article says the same complaints I've had about WiiWare and the VC for years now. WiiWare though is even more depressing though, because of all the small companies that could be hurt financially due to WiiWare's awful interface and lack of advertising. Somewhat on topic, I noticed the other night that Bruiser and Scratch by Steel Penny Games was not on the service anymore. Does anybody know anything about that? Is this the only game that is no longer on the service? I would hate to say it, but if Nintendo really wants to have success with Wiiware then need to sallow their pride make promote $0.99 to $1.99 games on it as well. This will make it more appealing to the casual crowd they sold majority of the Wii too.